I am using it to install piping etc. It was easier to use than I expected. I am concerned that the spring will not break depending on the frequency of use. This review is about item#35698573. Brass removal work from water piping. 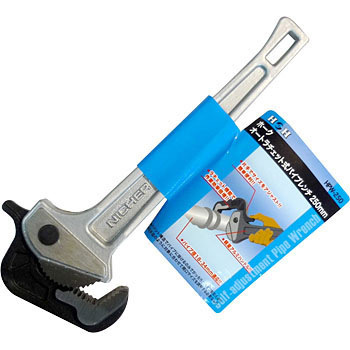 The efficiency of several steps has improved compared to pipe wrench! Easy to use as it fits into the pipe with one touch. It's light because it is aluminum, but it's quick to break. This review is about item#35698582.